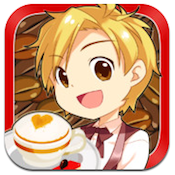 Whether you’re a coffee junkie looking for an iPhone game that matches your interests or a longtime fan of virtual restaurant games, you should check outHello, Cappuccino, developed by KTH. 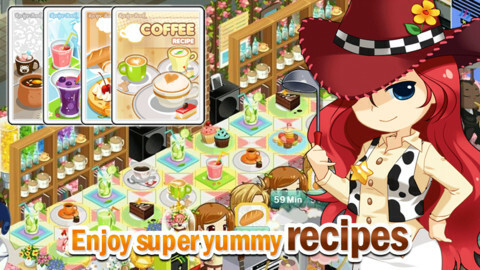 Hello, Cappuccino has great anime-style characters, a cute environment, and dozens of upgrades and ways to customize your own little coffee shop. Hello, Cappuccino is an iPhone game that features a fun, kind of jazzy soundtrack that fits very well with the game’s upbeat atmosphere. While the tutorial is a bit long and the number of premium items is a bit high, Hello, Cappuccino is still a ton of fun for detail-oriented fans of virtual sim games. 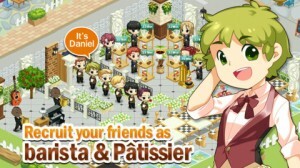 If you’re the kind of mobile gamer who loves games that integrate Facebook, then Hello, Cappuccino will be right up your alley. 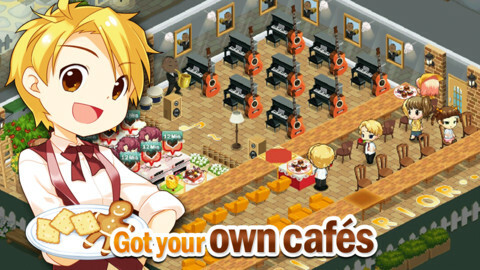 You can hire friends to work in your cafe, clean up their shops, and socialize with your real life friends at their own little coffee shops. 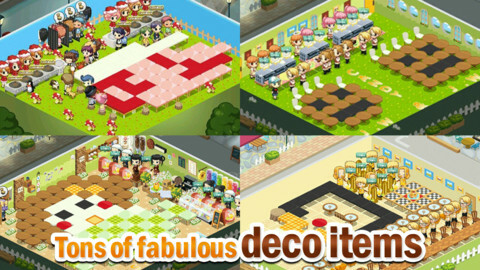 Beyond the expected upgrades like new recipes, new decor, and new coffee drinks, you can also add virtual pets to your cafe to personalize it even further. You can also upgrade your baristas, waiters, and pastry chefs with new hair, clothes, and accessories. Some of the menus are a bit tricky to navigate, which can slow down the gameplay a bit. It’s a minor frustration, to be sure, but an issue that will hopefully be resolved in later updates. Featuring characters and environments that feel endlessly customizable, cute graphics that make every dish look utterly mouthwatering, and a fun social aspect, Hello, Cappuccino is a great iPhone game for anyone who loves games like The Sims, Diner Dash, or Pocket Cafe. The fact that Hello, Cappuccino is free makes it all even sweeter. Hello, Cappuccinois compatible with iPhone, iPod touch, and iPad. Requires iOS 4.3 or later. This app is optimized for iPhone 5.A small expedite fee was paid by the developer to speed up the publication of this iPhone game review.